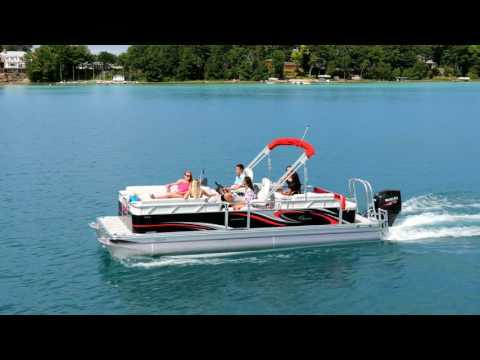 This is a great pontoon for cruising and entertaining. Lots of comfortable seating space for a 22' pontoon. This pontoon boat has the following options; Front sleeper seats, Refreshment center, Interior blue ice light package, Playpen cover. Powered by a Honda 90HP.